Morib Resort Room Types 4.6 out of 5 based on 14 votes. Gold Coast Studio Suite is a specially designed classy Balinese type of suite room, suitebale for double or single occupancy, which is located at Tower A of Gold Coast Morib Resort. Guest may choose to stay at twin or king bedroom with personal Jacuzzi. Accommodation facilities provided are such as Baby cot, Private bath with jacuzzi, free Wifi In lobby, Private balcony, Mini refrigerator, Hair dryer as well as free of charge coffee/tea making facilities . Morib Gold Coast Two Rooms Apartment is specially designed for stay of mini group or family. These types of apartments located at Tower C1 and C2 of the resort. Guest may choose from master suite or linked bedroom (sharing shower room between). The failiries provided by this kind of apartment are such as dining facilities and mini refrigerator at living area.Complimentary coffee/tea making facilities, private balcony, hair dryer and baby cot are provided on request. 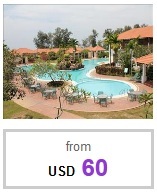 For stay of big group/family, Morib Gold Coast Three Rooms Apartment is the best option. These kind of apartments rooms is positioned at Tower B . Guests may choose to stay at this kind of apartment which comes with 3 bedrooms, 2 bath rooms, kitchen amenities which include a big refrigerator, and a big living area. Facilities of this kind of apartment include private balcony ,hair dryer, complimentary coffee/tea making facilities, Baby cot (on request) and refrigerator. 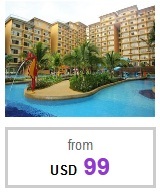 Compare Gold Coast Morib room rates here. Learn more about Morib here.